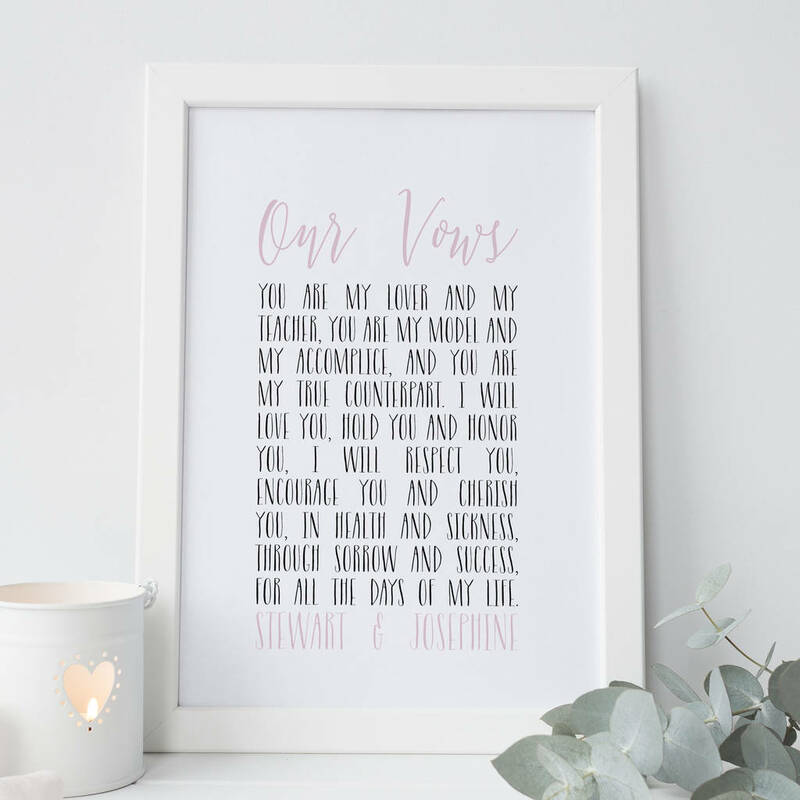 A beautiful personalised keepsake print featuring a couples own wedding vows to be treasured for years to come, the perfect wedding present. 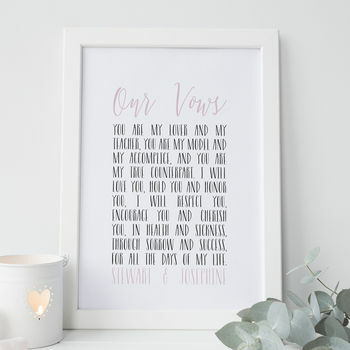 This print is the perfect keepsake to give as a wedding, anniversary or Christmas gift, either as a gift to your husband or to a couple on their special day. Printed on 300gsm luxury textured carstock, this personalised vows makes the perfect gift for a paper anniversary. Choose your first dance lyrics, a favourite song, a reading or even a poem. Enter your chosen lyrics in to the boxes provided. If you cannot fit your words in to the boxes, please use the 'contact seller' button after purchasing to send your words across. - Ensure that your lyrics are exactly as you would like them to appear on the print. - There is an option for the highlighting of words that are particularly special to you, see image for example. - I use your text so please check your spelling - mistakes can not be rectified once printed. - I recommend that commas and full stops are included. - If a proof is chosen, this will be sent as a PDF file to your account. You should receive an email with it but this may go to your junk folder. 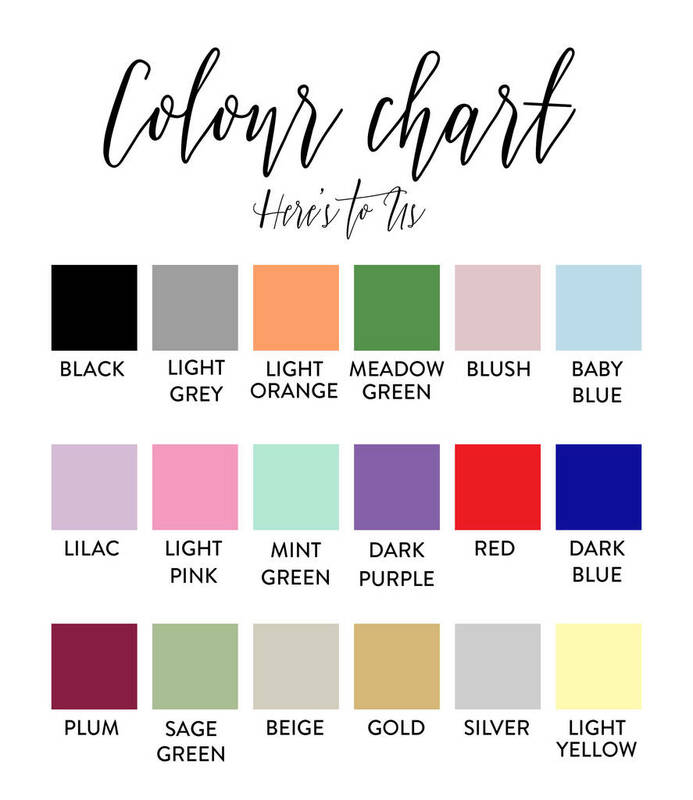 It is your responsibility to check for this email and I cannot be held respsonsible should your print be late due to delayed proof of approval. - If an item is cancelled once a proof has been completed, there will be a 50% charge to cover the time spent creating your item. This item is currently reduced from its original price of £25. As the product hasn’t previously been available on notonthehighstreet.com, the original price represents our RRP and product price elsewhere.